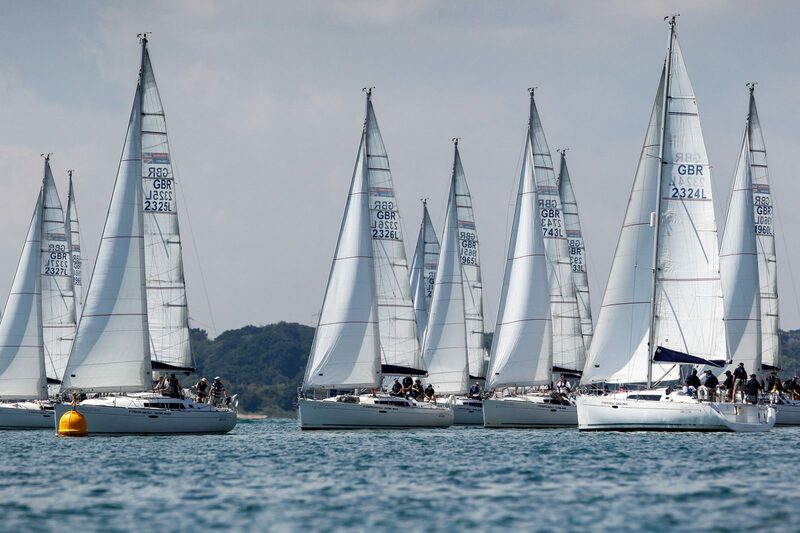 The Solent offers the most diverse range of race events and regatta’s providing the ultimate opportunity to take part in an exhilarating competitive event for groups of 6 to 300. Event Branding – transfers, flags, clothing etc. Unless you’re all competent sailors, your event is likely to include an intensive training program. 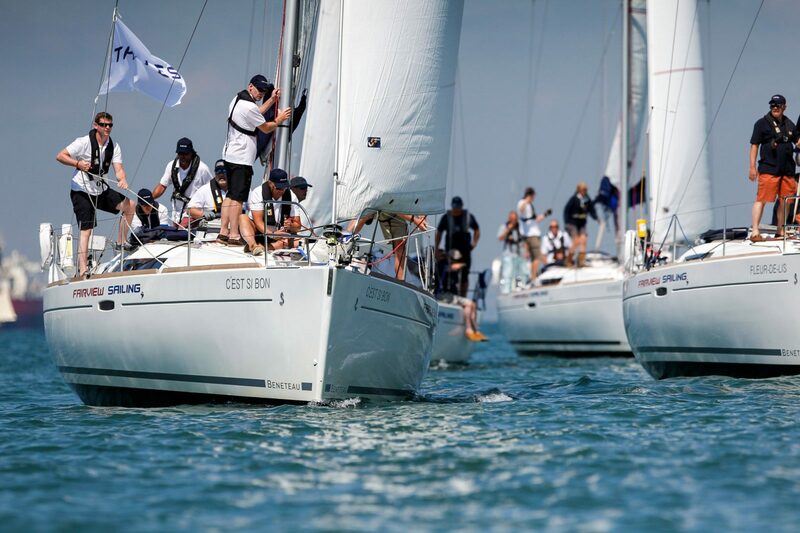 Our skippers provide this along with enabling your safe participation in yacht racing. 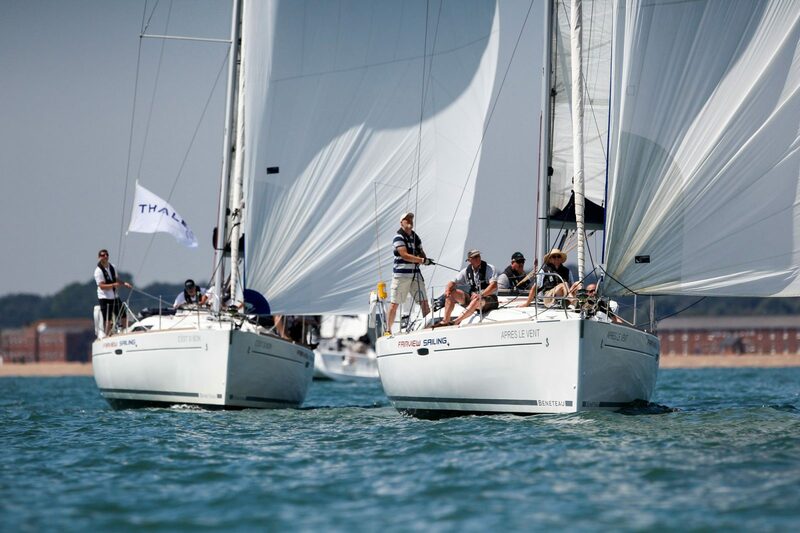 Competitive sailing involves yachts jostling for the best positions in close quarters. 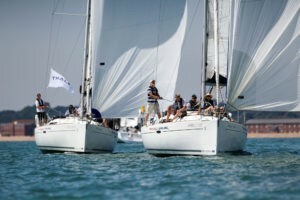 Racing is highly exhilarating and with Fairview programs, crews are expected to participate; helming, trimming sails and generally getting completely immersed in the management and performance of the yacht. 08:00: Teams arrive at Port Hamble Marina – River Hamble. You will then be met by your Professional Skipper and Fairview team where they will join you for bacon roll’s, tea, coffee and orange juice. Once all crews have congregated, its time to join the yachts. 09:30: Before sailing, teams have a full safety briefing and prepare their yachts for sea. As the yachts leave the marina and head for the Solent, the crews are taken through the various jobs onboard. 10:00: You are now on your way to departing the beautiful River Hamble. Teams will now take part in a morning of race training to ensure a fun and safe racing for all. 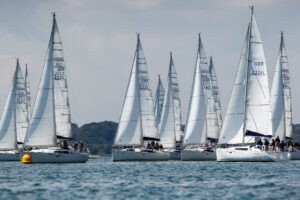 12:00 – Time for lunch aboard whilst under a gentle sail plan or if you prefer anchored up at one of the picturesque spots along the Solent.